Ask the Physical Therapy clinic if the PT specializes in the area of your injury or concern. Level of experience and specialization can make a significant difference in your rehab outcome/results. Ask the PT clinic if you will be treated by the same PT for each visit. Continuity of care can be very important to advance and assess your progress toward your goals. Make sure that the PT will have enough time to spend with you. Many clinics / PTs are set up so that any one PT may be have 2 to 4 patients in the clinic at the same time. This can take away from the personalized – one on one care that you deserve. Make sure that you receive physical therapy from a licensed physical therapist. 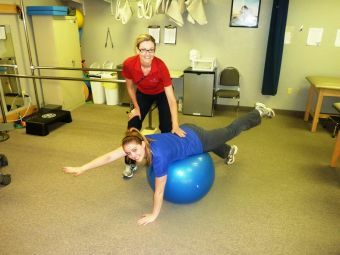 Physical Therapists are professional health care providers who are licensed in the State of Arizona. If you are receiving physical therapy from a Physical Therapist Assistant (PTA), be sure that he or she is supervised by a licensed physical therapist and that you were given a full evaluation by the Physical Therapist prior to be treated by the PTA. Ask the physical therapy clinic if they participate with your insurance company and/or will they submit claims on your behalf to your insurance company. Some policies require co-payments for services and the co-payment will be dependent on if the physical therapist is part of the insurer's provider network. You will also have to meet your deductible. More than half of all Americans are suffering from pain. Whether it is a recent episode or chronic, an ABC News/Stanford study revealed that pain in America is a serious problem. However, many do not even know that physical therapists are well equipped to not only treat pain but also its source. Physical therapists are experts at treating movement and neuro-musculoskeletal disorders. Pain often accompanies a movement disorder, and physical therapists can help correct the disorder and relieve the pain. Important to note: that physical therapy can only be provided by a qualified physical therapist, or a physical therapist assistant working under the supervision of a physical therapist. When choosing a Physical Therapist, you have the freedom to choose your own physical therapist.